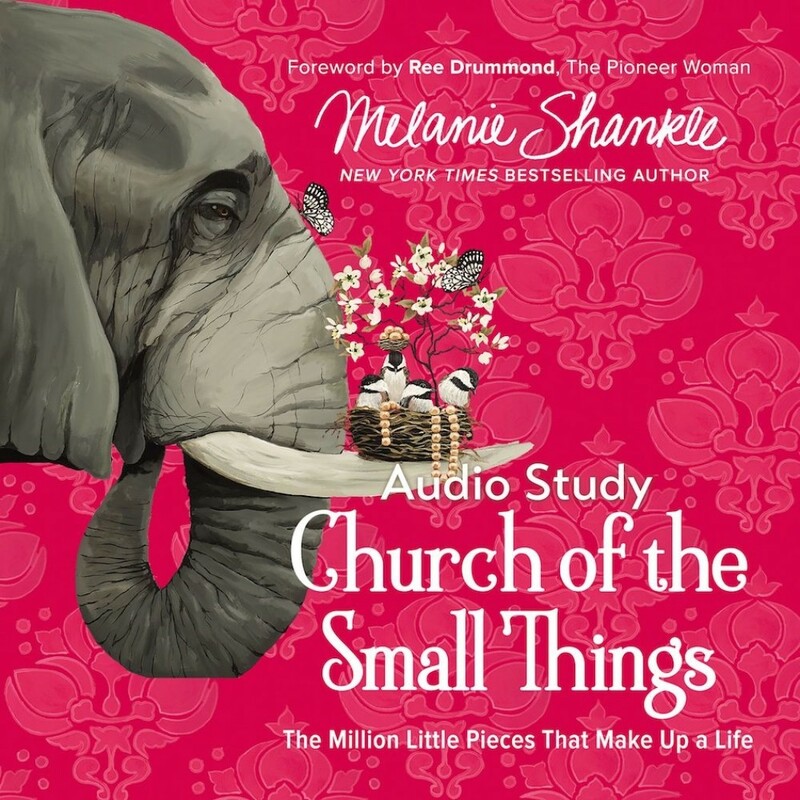 Church of the Small Things Audio Study | Melanie Shankle | Audiobook Download - Christian audiobooks. Try us free. The Bible Study Source series provides a unique audio learning experience. Unlike a traditional audiobook's direct narration of a book's text, Church of the Small Things includes high-quality, live audio sessions from the author that cover this important Bible-based topic. These sessions will reflect the ambiance of the unique recording locations, immersing the listener into the teaching. With her characteristic humor and honesty, Melanie Shankle offers you the opportunity to embrace what it means to live an abundant and meaningful life by finding beauty and laughter in all the small things right beneath the surface of every moment in your life. It doesn’t matter how old we are or what kind of work we do, we’ve all wondered at times, “Does my life really matter?” Do the everyday events and messy moments make any kind of difference? Is it okay to be fulfilled by the simple acts of raising kids, working in an office, and cooking chicken for dinner? Melanie Shankle speaks directly to the heart of women of all ages who are longing to find significance and meaning in the normal, everyday world of attending class on their college campus, driving carpool to soccer practice, cooking a meal for their family, taking care of a sick loved one, or a million other things.